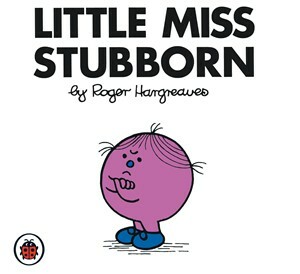 Stubborn, intransigent, awkward and obstinate. We’ve all behaved like that at one time or another. Usually between the ages of 2 and 7. But for a “Professor of Marketing and an Expert on Branding” to continue to insist that social media is “…a new and relatively insignificant communications tool that has limited potential for a very small proportion of brands” as he did in the latest issue of Marketing Week, is astonishing. At the Engaging Times Summit in Chicago last month, the great Stan Rapp announced his conversion to social media. Indeed one of his memorable quotes was “Stop advertisng, start dialoguing”. Rapp’s conversion was based on the very numbers that the Professor rests his arguments on. Ritson says of Tesco’s Twitter page, “And what about Tesco? It’s arguably Britain’s biggest and best run brand and yet it has a grand total of 281 followers. Are you starting to see my point?” No Mark. What this says to me is that Tesco have yet to grasp the potential that social engagement tools offer. In fact, having just checked their page, it appears Tesco are really confused! I’m not clear which Tesco Twitter account is the official one, but twitter.com/tescostores (which I suspect is the official version) last tweeted in April 2009! Do they promote it on their advertsing materials, their website or even their till receipts? In fact the tell tale sign that brands haven’t grasped the potential of Twitter, is that it isn’t promoted at all on their ‘Contact Us page! Well, if they’re not tweeting, the it’s a good job they don’t promote it!